MEDtube mission - sharing medical knowledge between physicians and rasing the level of medical skills around the world - is supported by the elite of the medical community. SLS is the largest Minimally Invasive or Laparoscopic Society in North America and perhaps worldwide with over 6000 active members. Many Laparoscopic and MIS specialties are represented; the main three are Surgical Endoscopy, Gyn Laparoscopy, and Endourology. SLS’ focus is multispecialty, providing a multidisciplinary education by giving a comprehensive view that is more inline with better physician orientation and patient outcome. 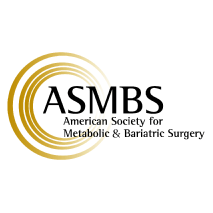 The American Society for Metabolic and Bariatric Surgery (ASMBS) is the largest society for this specialty in the world. The vision of the Society is to improve public health and well being by lessening the burden of the disease of obesity and related diseases throughout the world. The International Federation for the Surgery of Obesity and Metabolic Disorders (IFSO) is a federation composed of national associations of bariatric surgeons. 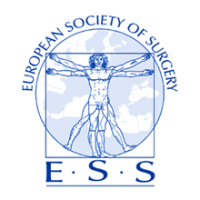 IFSO has been mainly a scientific organization, bringing together surgeons and allied health professionals, such as nurse practitioners, dieticians, nutritionists, psychologists, internists and anesthesiologists, involved in the treatment of morbidly obese patients, but in the upcoming years, IFSO will maintain and extend its roll in the challenge of bariatric surgery. International Association of Surgeons, Gastroenterologists and Oncologists is a vibrant, strong and influential body of surgeons, gastroenterologists, hepatologists, oncologists, endoscopists, laparoscopists, pathologists and radiologists, from over 90 different countries worldwide and with over 1700 members. IASGO is active in terms of the promotion of multi-disciplinary co-operation in dealing with the diagnosis and management of GI diseases, state-of-the-art postgraduate training, groundbreaking research and worldwide provision of the latest medical knowledge and expertise. 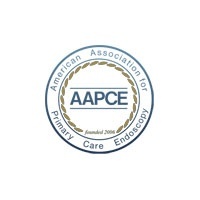 The American Association for Primary Care Endoscopy (AAPCE) is a non-profit organization formed in 2006. Our mission is to provide a forum that fosters a collegial relationship among dedicated, competent primary care endoscopists as they seek to improve their individual expertise and raise, with integrity, the general level of primary care physician endoscopy practice. 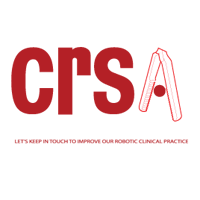 CRSA is an organization that addresses practical issues focusing on general surgery and its related specialties: Upper GI, HPB, Thoracic, Colorectal, Vascular, Transplant, ENT, Endocrine, Oncology, Bariatric. Its aim is to provide clinical, educational and innovative services in a manner that will support the true mission of facilitating robotic techniques in general surgery and related specialties. The International Society for Minimally Invasive Cardiothoracic Surgery was formed to organize and centralize the various surgical centers concerned with patient outcomes, techniques, and progessive development of less invasive forms of heart surgery. 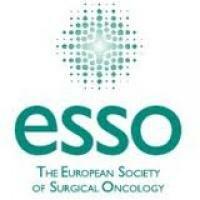 The European Society of Surgical Oncology, ESSO, was established in 1981 to advance the art, science and practice of surgery for the treatment of cancer. It organises the biggest congress in surgical oncology in Europe and unifies the surgical oncology community in a network of over 20.000 members. GREPA was founded 1979 by JP Chevrel and a group of friends sharing the desire to promote and improve Abdominal Wall Surgery. As of 1997, the creation of a journal HERNIA, the Journal of Hernia and Abdominal Wall Surgery, official organ of the GREPA and AHS (American Hernia Society), has provided an international diffusion of their scientific work, and those from other foreign societies. 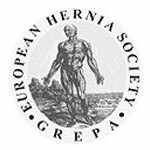 In 1998, the name GREPA was changed to European Hernia Society - GREPA. The goal of the Society as stated in its constitution is "the advancement of the art and science of surgery" with a mission to promote scientific, academic and clinical surgery of a high calibre. The Society in particular wished to encourage and promote interchange of ideas, both clinical and scientific, between East and West. One of the first medical societies in Poland, operating since 1889. The Society aims to enhance knowledge and skills among surgeons. The modern approach and the Internet as a valuable source of medical knowledge result in close cooperation with MedTube. Channel of Association of Polish Surgeons presents the most interesting medical cases in the modern surgery. Polish Society of Surgical Oncology brings together physicians who want to fight the cancer. One of the main objectives of the Society is to promote the benefits of science among oncological surgeons, pathologists, clinical oncologists, radiotherapists and other specialists in the oncological areas. Due to the rapid development of the Internet the Society wants to increase access to the medical knowledge through the channel on MedTube. 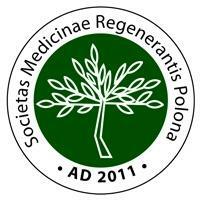 Polish Society of Pathologists is a nationwide scientific organisation that associates polish pathologists since 1958. In order to share the achievements of the modern medicine the Society cooperates with MedTube publishing medical videos, pictures and documents from the area of the pathology. The Society of Robotic Surgery is the first Society to promote innovative surgeries with robots involved. The Society was established by doctors in Wroclaw (Poland) at the WSSK hospital where the first daVinci robot is installed since 2010. The goal of the the Section of the Association is to promote miniinvasive surgical techniques in urology (laparoscopy, ESWL). PTU - Endourology is preparing educational programmes and trainings for doctors. It is cooperating with national and international societies to share knowledge and support progress. The College of Physicians and Surgeons Pakistan was established in mid-1962 with the objectives of maintaining high principles of medical profession, promotion of specialists' medical practice and arrangement of postgraduate medical training in hospitals. It is the only postgraduate medical institution in the country that has established a system of effective and consistent up-gradation of medical education and training.